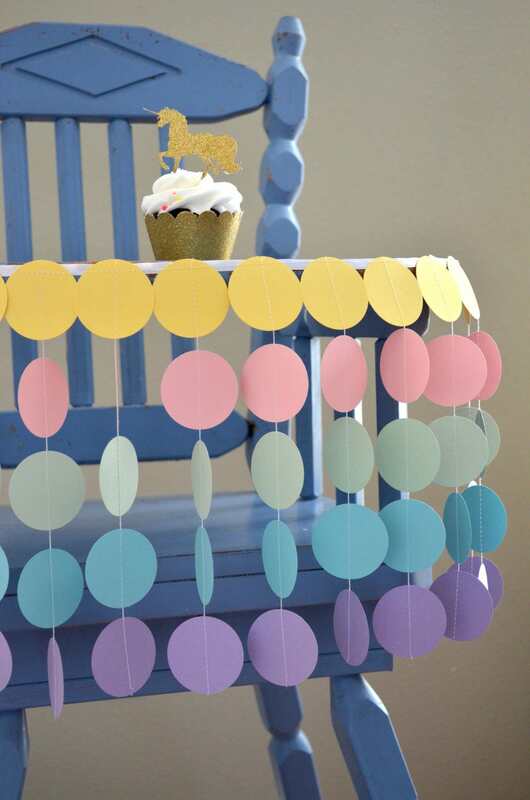 Pastel Rainbow Highchair Birthday Banner - unicorns and mermaids! 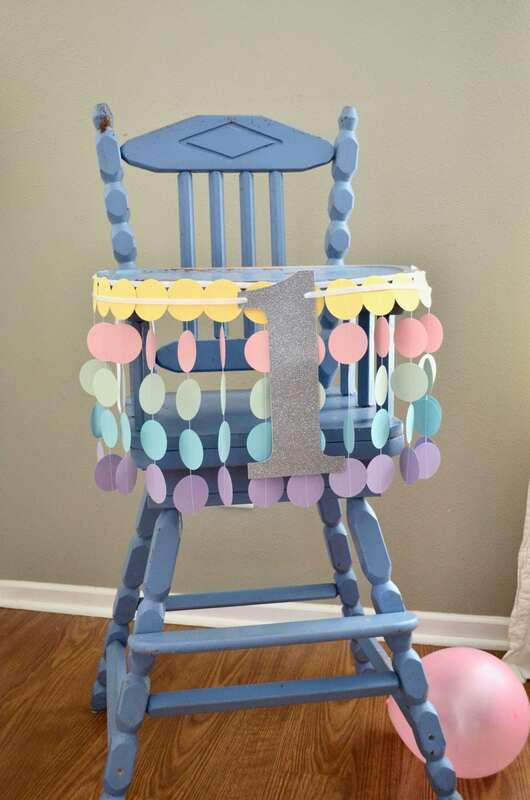 How fun to decorate your little one's high chair for her birthday - after all, it will be featured in some of the cutest photos of the day! 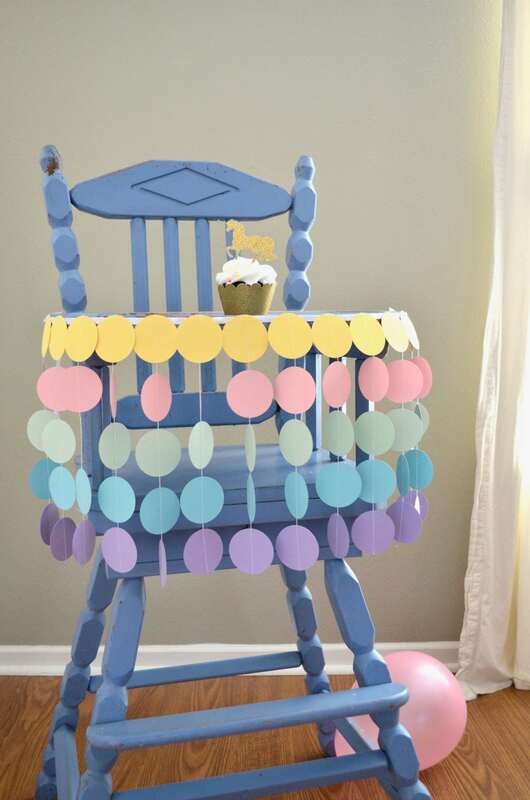 This highchair decoration is made in the sweetest and most whimsical colors of the rainbow - sure to add an imaginative and memorable touch to the event. The streamer section of this festive little banner is 24 inches wide and features ribbon ties to quickly and easily attach it to your little one's high chair. This banner can also makes a sweet mini backdrop for photos, or wall decor in a bedroom after the party! The total ribbon length is 5 feet. This version is made of lightly colored shades of of the rainbow (yellow, pink, mint green, aqua blue and light purple) but can be made in any color or combination of colors - we love custom orders! * Please note: this listing is only for the circle banner - the large glittered numbers featured in photos 3 and 4 are NOT included. 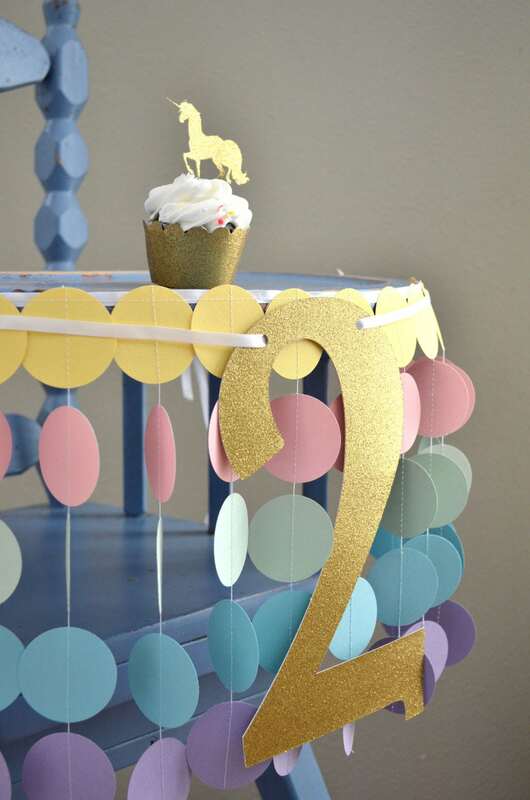 If you are interested in adding them to your event, you can find them here https://www.etsy.com/listing/519704749/large-glittered-numbers-perfect-for?ref=shop_home_active_2!